So about a month ago, The Fandible Podcast was honored to be nominated for an ENnie in this years Gencon. When we first heard the news, we were elated. Screaming out in joy and performing victory dances that I am sure had some sort of rhythm. 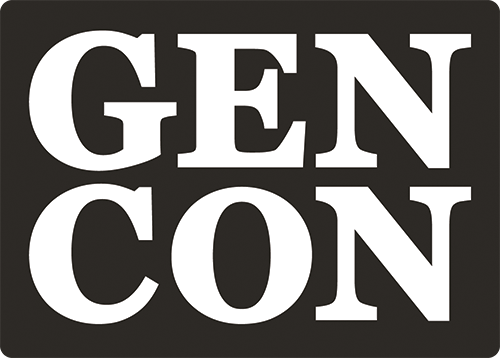 And then we realized… wait, does that mean we need to actually head to Gencon? So began the mad scramble. 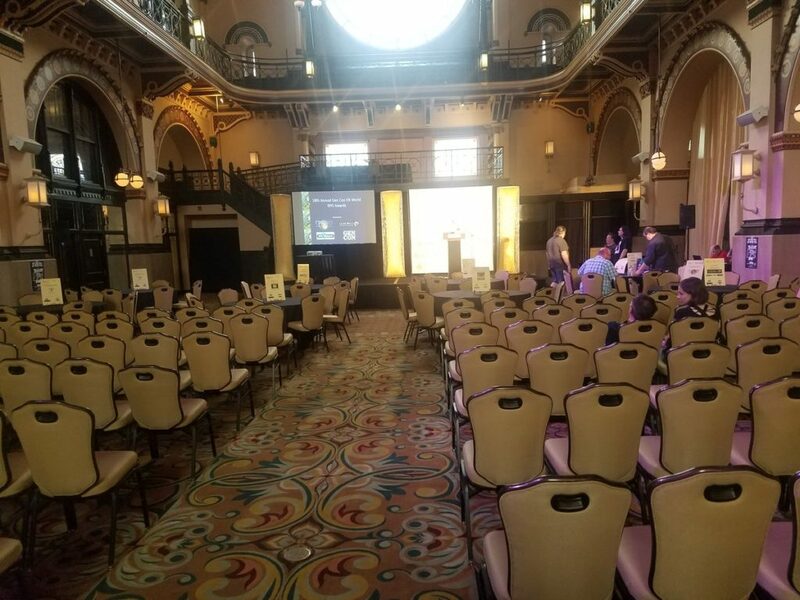 Out of all the Fandible crew, I was the only one with the open schedule (and the vacation time) to head off to Indiana and possibly get an award. A responsibility I took with a heavyweight and incredible glee. Then, the planning began. Trying to find an open hotel room in Indiana, figuring out which lucky dice bag to bring with me, and deciding what gifts to give to fans both new and old. Which was when we came up with the idea of the Fandible Goodie Bag. A little baggie full of Candy, Cards, and a CURSED DAVID DICE! Because if they like the good, they will have to accept the bad. Eventually, it was the day. The plane ride there was uneventful, followed by a boring trip to my hotel room to unload my stuff. 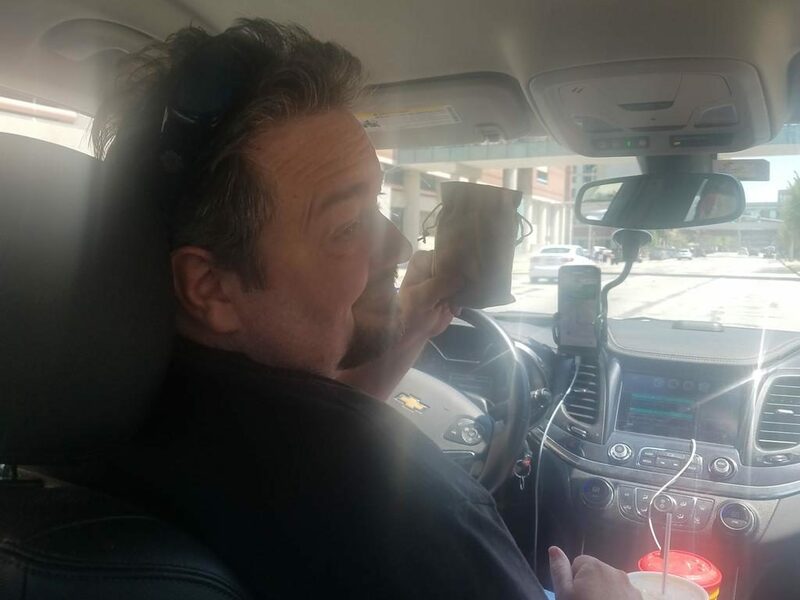 Things really got interesting however with my LYFT ride to the Convention center. 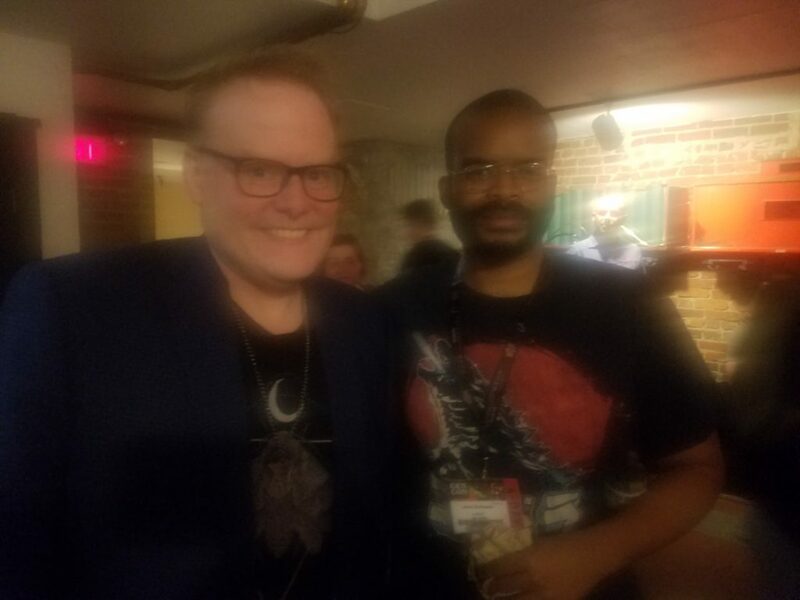 Where I met Jeffrey who was a fellow geek who played Dungeons and Dragons with his sons. Plus, he plays a Dwarven fighter. This alone was a good enough reason to receive the first Fandible Goodie Bag. 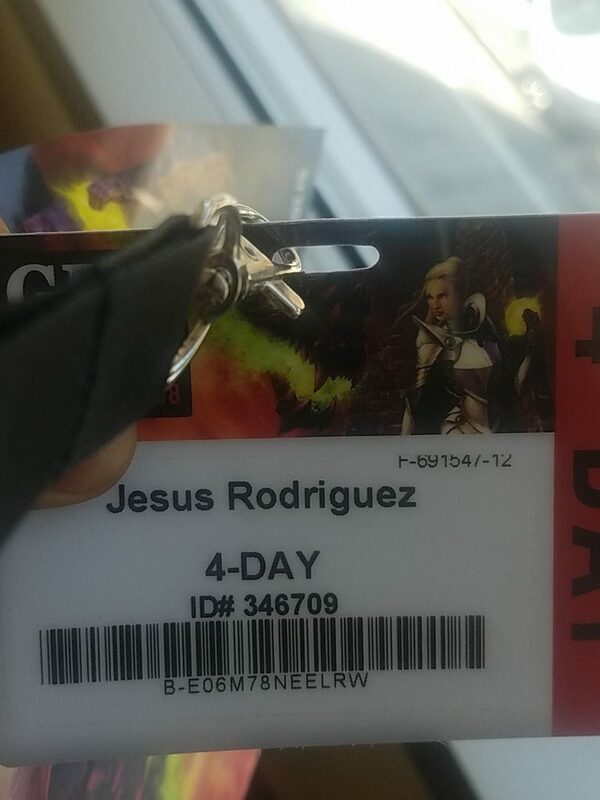 When I finally arrived, I played the first game of the day. THE LINE. A RPG based heavily on a mechanic called patience. It did, however, allow for a lot of sidequests involving social interactions with fellow geeks on THE LINE. And, I have to say, the epic level reward was totally worth it. I went to two notable events that day. The first was Gencon Insights. This was where various influential people in the geek community have TedTalk-style presentations on a topicoff their choice. One of them was a wonderful talk by Shanna Germain, who you may know as Co-owner of MonteCook games and creator of Predation. 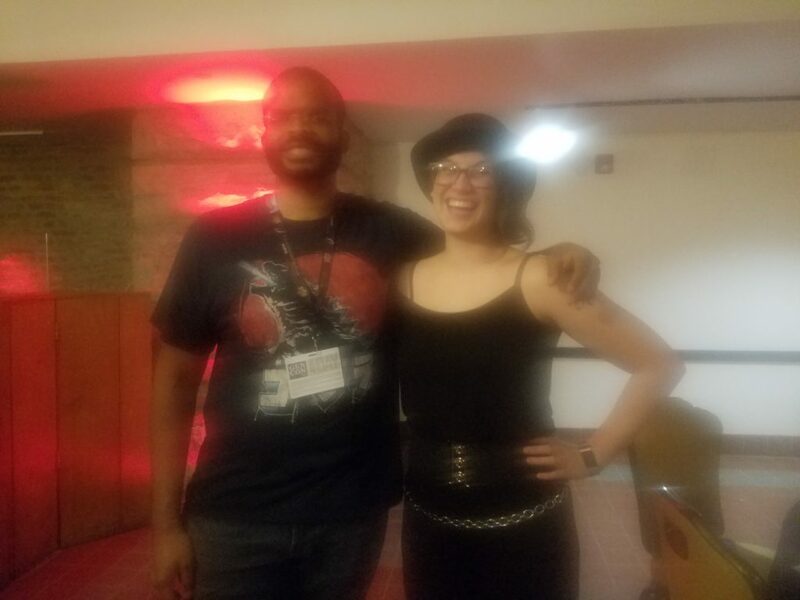 She spoke about Creative Empathy which I suggest you check out once it becomes available on the Gencon Youtube channel. 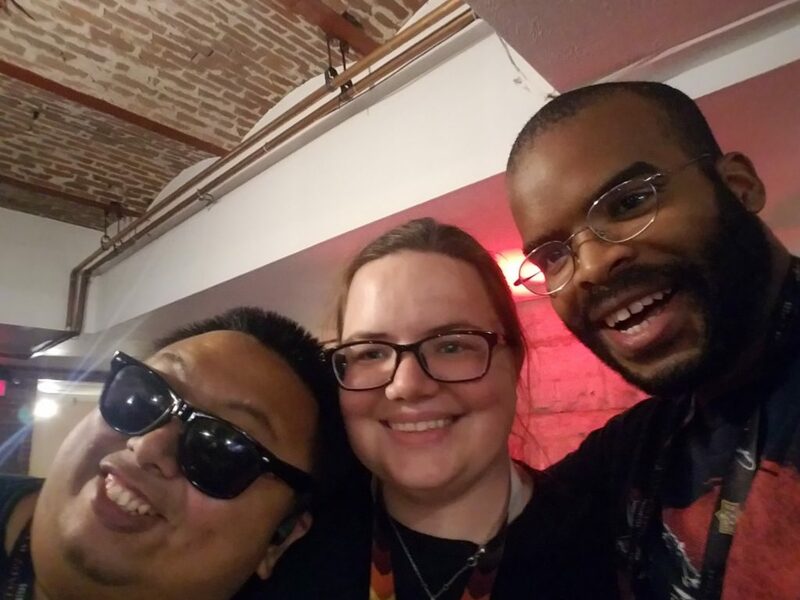 And it’s where I finally got to meet fellow Podcast creators Aser and Megan from the Redacted Files podcast. On Friday, I began the day with games. Becuase… games. 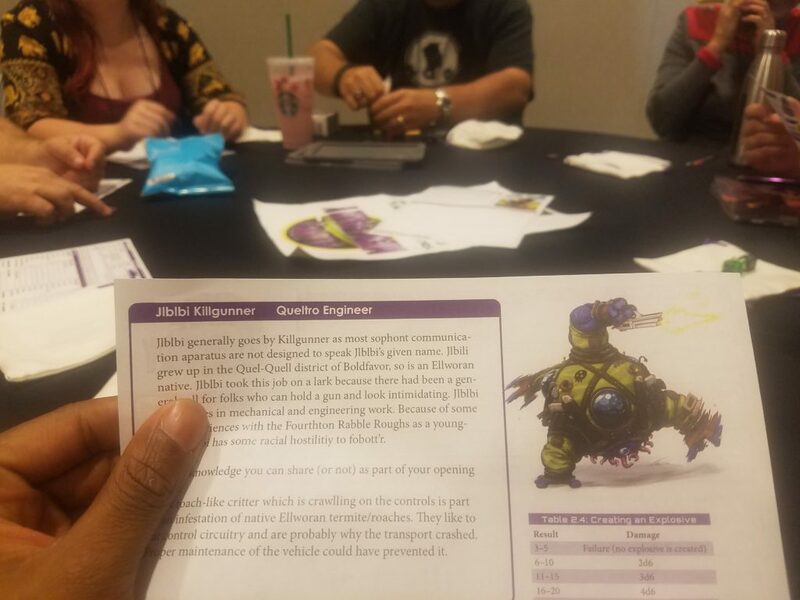 First was the Pathfinder 2nd playtest where I got to play a goblin alchemist with a love of explosions. The game seems to have more tactical options in combat then its competitor D&D. Do I like it more then D&D? I’m not sure. I think I need another play session or two to really get a feel for it. I can say, however, that it is different enough that I think fans could possibly like both. The next highlight was Doomseeker. A beer and pretzles game of Fireslayers seeking the greatest doom. The point, as you can guess, is to fight bigger and bigger monsters until you die heroically while hopefully getting more points then the other Fireslayers around you. 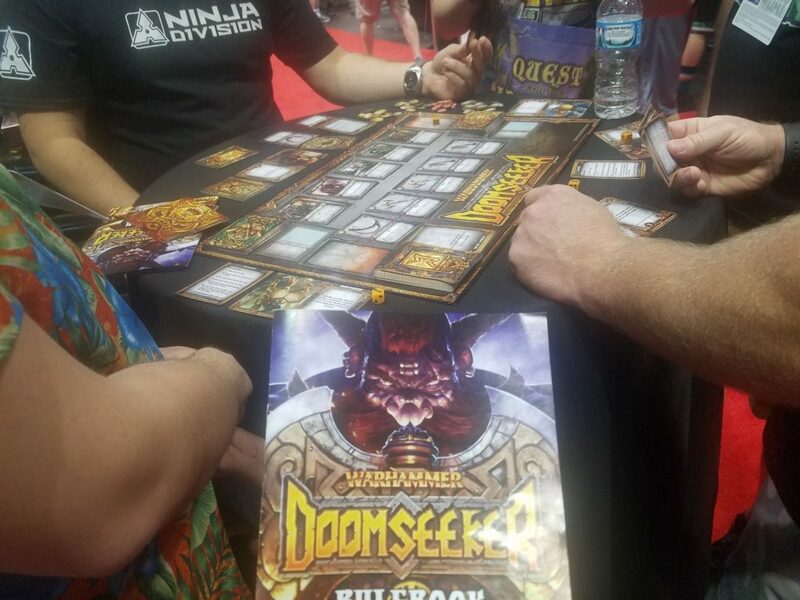 There is also a gambling mechanic where you bet whether you or the Fireslayers around you will survive a particular combat. No we’re not talking about the same kind of wagering when online gambling in Texas. The game also allows for you to play cards to help or hinder the other players of the table. Gambling and violence – the perfect Dwarven game if there ever was one. 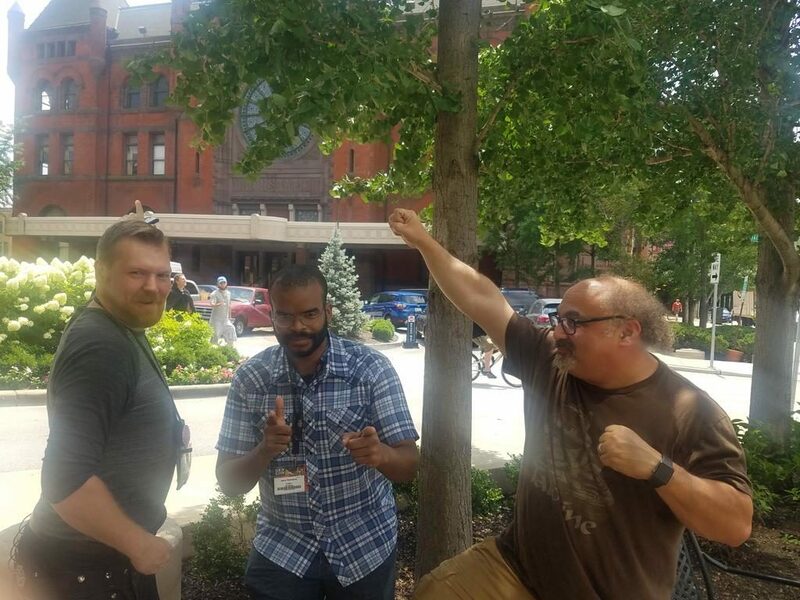 From there was a chance meeting with John Arcadian of Gnomestew and Andy Hopp of Muthaoith Creations to discuss what we love about gaming and also work on our Charlies Angels’ poses. 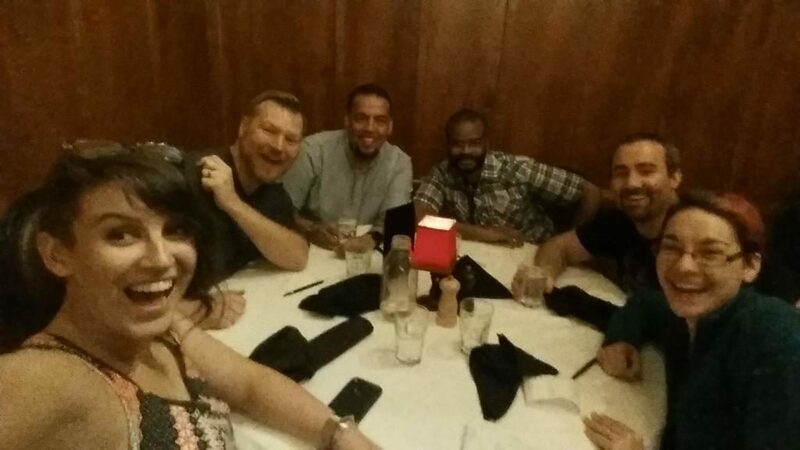 Followed by a fantastic Pre-Ennies dinner with Darcy ross, John Arcadian, and the rest of the Gnomestew crew. Finally, it was award time. I would like to to say I wasn’t nervous, but then I would be a liar, and I leave those deception skills for use behind the GM screen. As you probably heard by now, we didn’t win the award for Best Podcast. Sad, but I can’t say the actual winners didn’t deserve it. Both Fear of a Black Dragon and Miskatonic University are fantasticpodcasts, and you should go check them out if you have the chance. 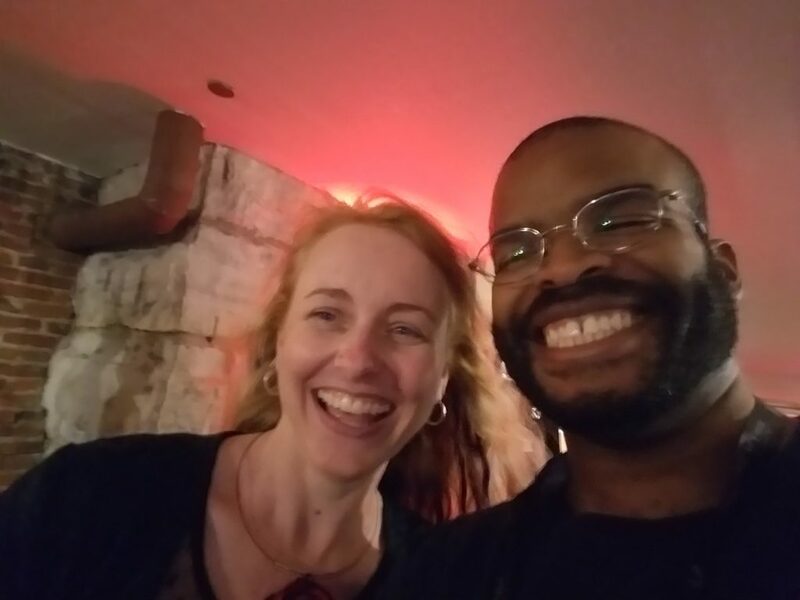 After the ENnies ceremony, many drinks were had! No need to go into specifics of what happened there… okay, honestly, I don’t remember what happened there. Then came Saturday. 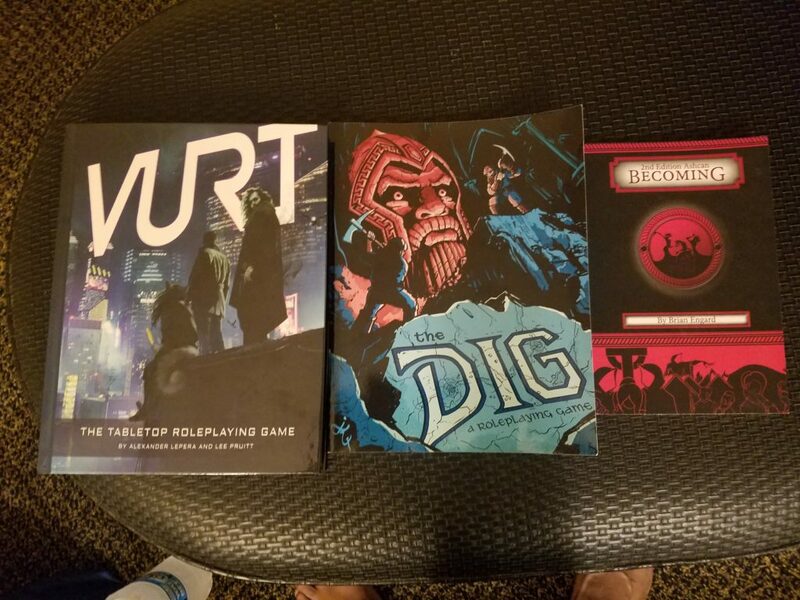 Free from the stress of the ENnies, I allowed myself to just be a geek at a convention. 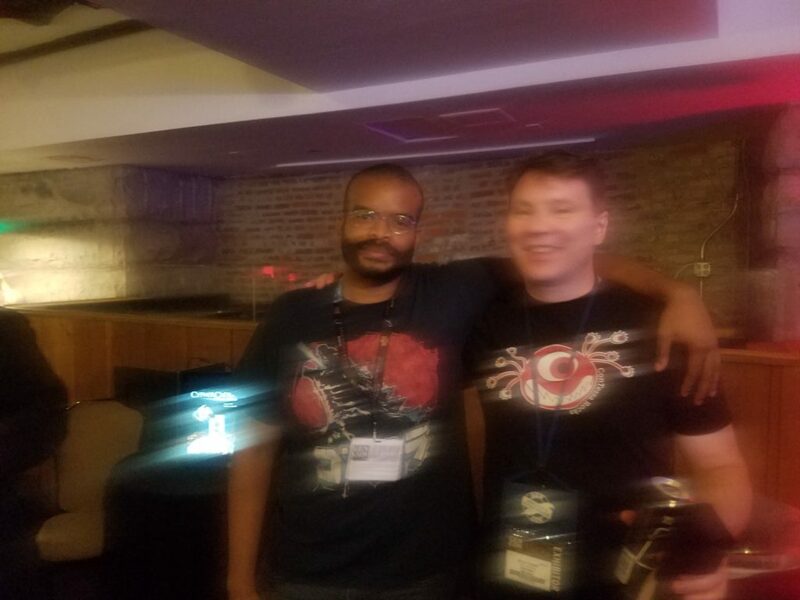 The biggest highlight was getting to play Planet Mercenary as a player. I got to roleplaying a Queltro Engineer whose had a fire-team team named after the Chippetes. Sadly, death wasn’t a stranger to them. I learned there was a reason to offer payment for a job AFTER the job was done. After that, it was time to head to the show floor and BUY ALL THE BOOKS. The final picture isn’t a book but art prints. From a studio called Broken Dice games. 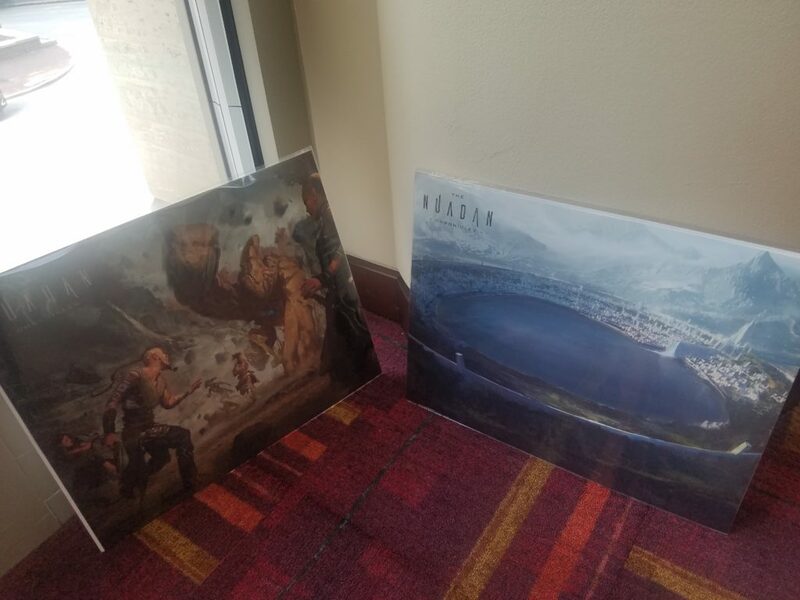 They were selling art prints to help finance a RPG they are working on called Naudan Chronicles. And, after looking at the Gorgeous art and seeing how passionate they were about the world they were creating, I had to buy some prints. Plus, that Stone Gollum art will look really good on my wall. I wish them all the luck on their project and will probably back them when they finally get their Kickstarter going sometime next year. 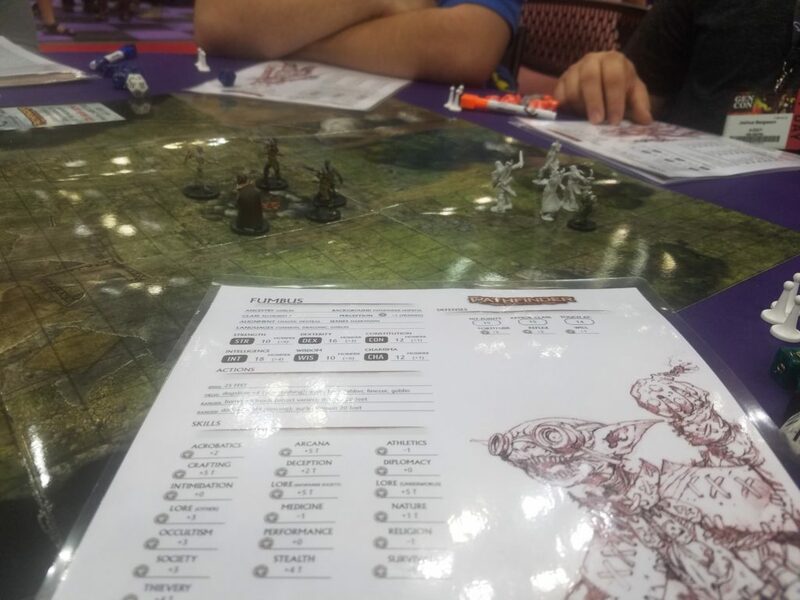 So that’s my report on my first GenCon! I can assure you all it won’t be my last. 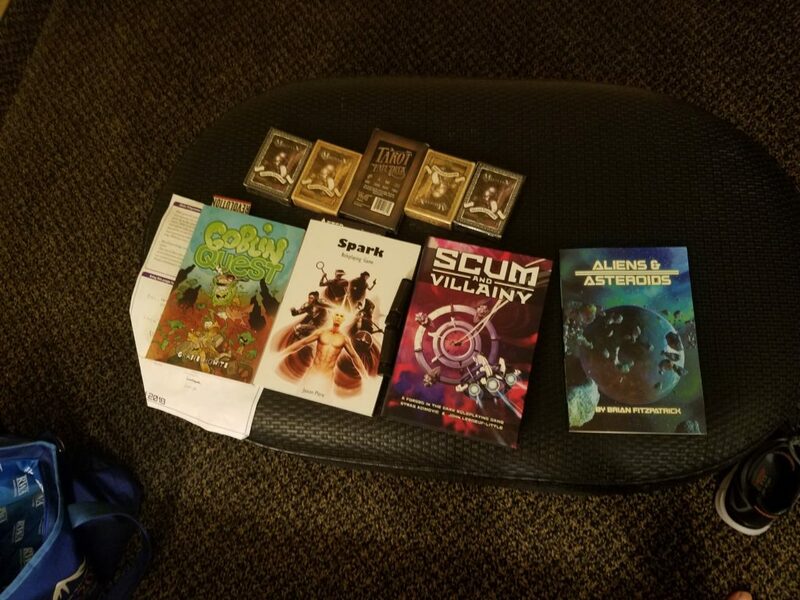 I can say yearly trips to GENCON will probably be a Fandible event from here on out. Sohnds like a really good time. Congradulations again on your Ennie nomination, I still wush you all had won. Thanks! There is always next year. 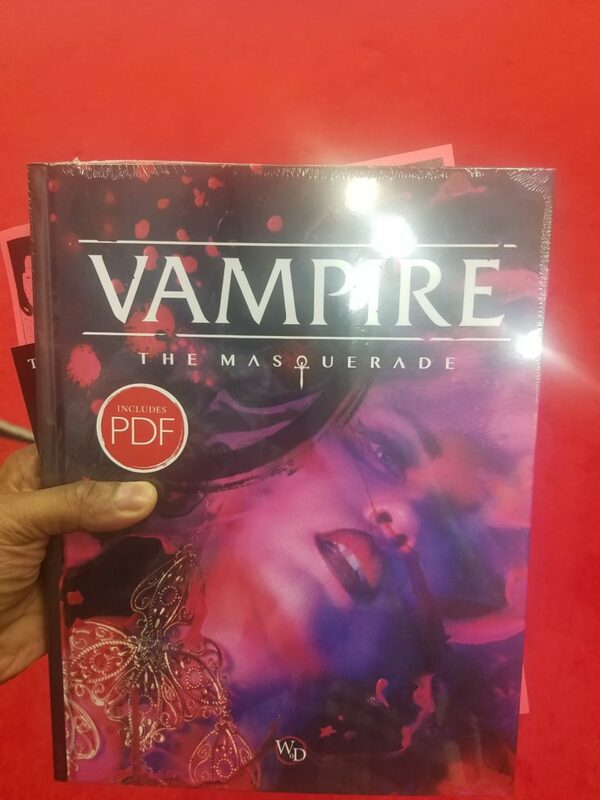 Ooh ooh I see somebody picked up the new Vampire 5th edition ! Can we expect Wow with some Bite in it somewhere down the line !